So I was playing around with the UnityAssetsExplorer and decided to try a little retexture of the IMO ugly as hell, Blue-padded-coats into a mixture of chain mail and light plate armor. Nice. Man, can add this on NexusMods? It's not possible, since the Unity does not have an "override" function. You'd have to manually replace the textures from "resources.assets" with UnityAssetsExplorer, and I don't think people are going to go through all that trouble. How were you able to edit the textures in the inventory model? Short, you can't. 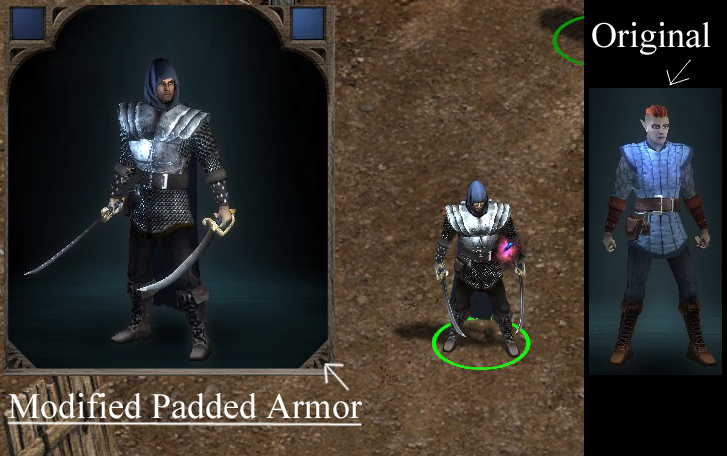 But, if you remove the ...\Pillars of Eternity\PillarsOfEternity_Data\assetbundles\art\hd\<corresponding filename> the game is forced to use the base texture. So yeah, thats how..